Never has such a simple journey been so unexpected! Your penguin must leave the colony to feed on the ocean, then return to his own. Your instinct will guide you to choose the right path, avoid the blizzard and enjoy the help of others. Memory and tactics will be essential to win this race! On your turn you choose a card near your penguin to move it on, turning this card. A color appears and if it corresponds to the color of your penguin, you can move again. If not, your moving is over. After that, you move a white or black chip to a closed card. When a penguin comes on a card with a white chip, he can play again now, but when he goes on a black chip, he must stop its moving. A card whithout penguin on it is face off. When a penguin is on a card of its color, with other penguins, he must bring them with him! 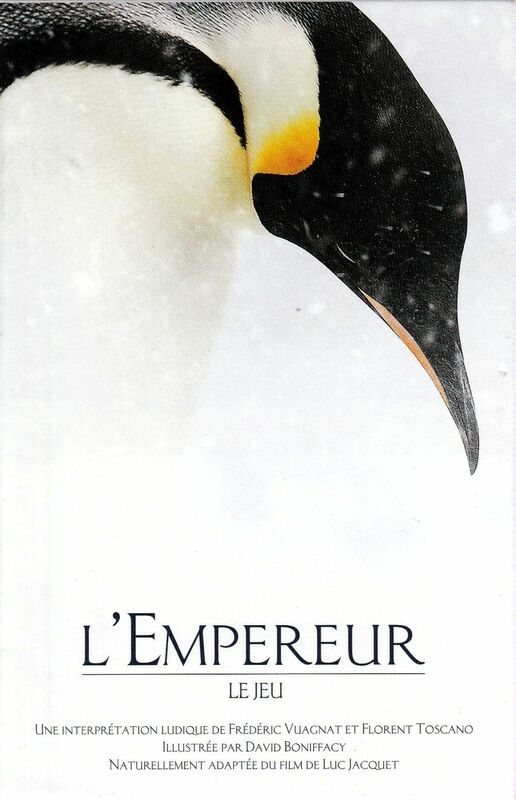 Wenst u het gezelschapsspel "L'Empereur" aan te kopen?